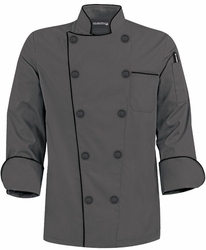 The Fashion Pebble Gray Chef Coat is quite stunning and a real stand out. This chef coat really speaks of sophistication and quiet charm befitting a master chef. 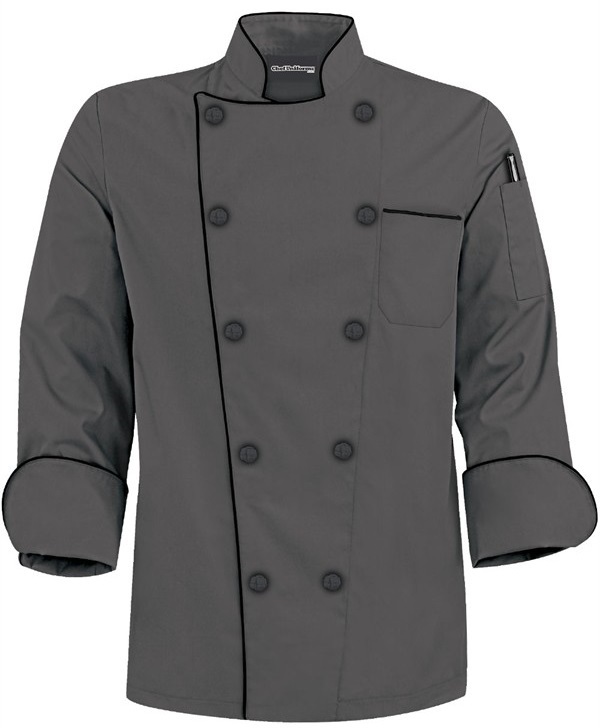 Our traditional fit chef coat features contrast piping along neckline, chest, pocket and cuffs. Get the best of both worlds with the professional tailored cut yet extra room built into the arms for ease of movement. The quality made knotted cloth buttons will not sag or lose form over time. This chef coat certainly will go a long way like the chef who wears it. With contrast piping along neckline, chest, pocket and cuffs.